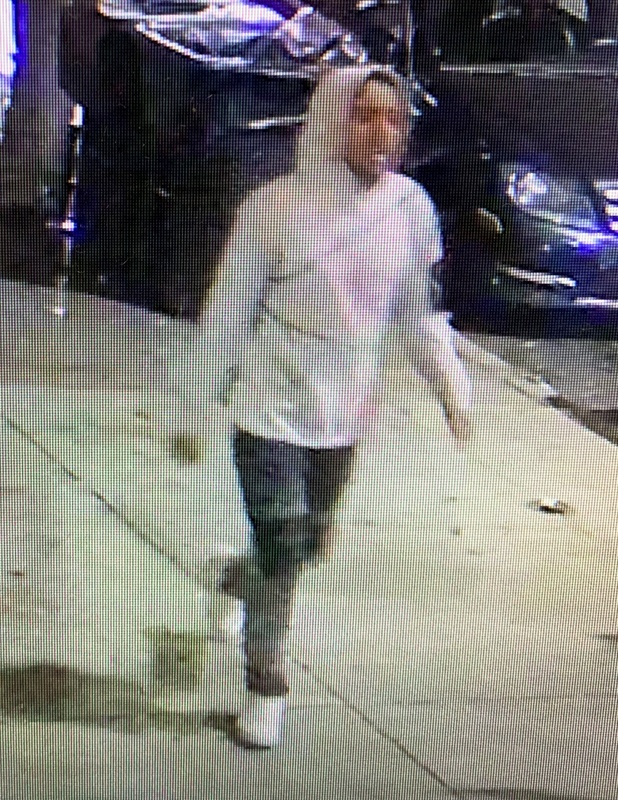 Brooklyn, NY - Looking for a break in their investigation of the most recent attack on a Chasidic child in Williamsburg, the NYPD has released images of the suspect and turning to the public for assistance identifying the teen in question. As previously reported on VIN News (http://bit.ly/2TV5flH), the incident took place on Sunday at approximately 6 PM at the corner of Throop Avenue and Walton Street. Police said the nine year old victim was walking home when he was punched several times before falling to the ground, with his attacker fleeing the scene. The suspect is described as being approximately 14 to 18 years old, 5’6” tall, with a medium build, weighing 150 pounds and dressed in a light grey hoodie with a large black patch just above the left elbow, dark colored jeans and white sneakers at the time of the attack. The incident is currently being investigated by the NYPD’s Hate Crime Task Force. Is that Trayvon? Obama’s son? These days that old joke is just that an old joke. Not very funny either. It's actually Mayor and Mayorette DiBlasio's daughter, in drag. If we are going to become maximalists stupidity-wise might as well shop locally. Regardless, this "child" with no known advantages in life should be found and turned over to the police with a very public display of seething anger - just as would occur if it were the other way around. I thought trayvon martin lived in florida, I guessed he moved up north from that evil red state, a black boy at night wearing a hoodie, must be going to Bible class. Well, I am looking at a pretty poor photo #4. How you can be sure he is not an Indian-America or a Native American is a bit beyond me. He seems to be young, slim, dark-completion with good posture. He may have a large nose. You’re a moron. Tomorrow when you will here is a white git committing a crime, as you surely will, are you also going to talk about how white people commit crimes? You seem to be just as mentally handicapped as trumpinwhitehouse. "The suspect is described as being approximately 14 to 18 years old, 5’6” tall, with a medium build, weighing 150 pounds and dressed in a light grey hoodie with a large black patch just above the left elbow, dark colored jeans and white sneakers at the time of the attack"